What is the difference between the design web services and the Target Finder web services? The Portfolio Manager web services offer two options for setting energy performance targets and evaluating the expected energy performance of a design project: the Portfolio Manager design web services and the Target Finder web services. The table below briefly contrasts the two options, with more detail provided below. If you or a customer wishes to attach a design scenario to a Portfolio Manager property record that can be revisited, tweaked, and used for comparison purposes once the building becomes operational, you’ll use the design web services. To use the design web services, you’ll first post a property record then use the design web services to add the design’s expected property use details and annual energy consumption. You can then use GET /metrics to pull key design performance metrics, and the design’s property record can be shared with other Portfolio Manager accounts. If, instead, you want to quickly deliver design performance metrics to a customer without having them set up a Portfolio Manager account and without setting up a full Portfolio Manager property record, you’ll use the Target Finder web services. The Target Finder web services allow providers to quickly send a design project’s basic property, property use, and expected energy use data to the Portfolio Manager server in a single call and receive back several key design energy performance metrics. Providers can do this without requiring customers to set up their own Portfolio Manager account, eliminating the need to use the connection and sharing process, and reducing level of effort on the customer’s part. However, property records set up through Target Finder are not stored in Portfolio Manager for future reference. They therefore are not available for reporting and cannot be shared with other Portfolio Manager accounts. Can I use Target Finder for LEED documentation? 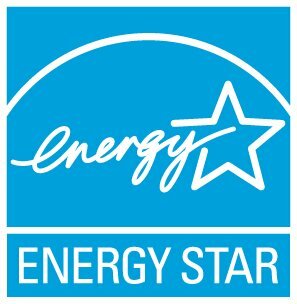 Is there a list of acceptable energy models to determine estimated energy use? A customer list is available through the "GET /customer/list" service, but could customer lists be made available as a downloadable report through the web services GUI tab in the new Portfolio Manager?